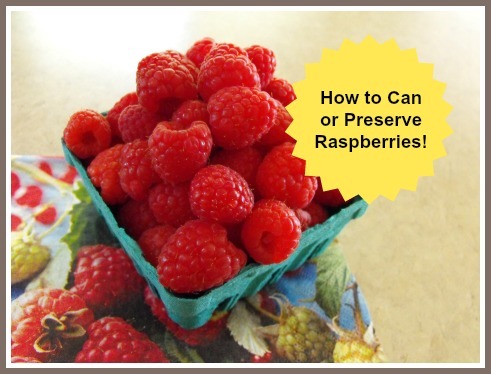 Canning Raspberries is an effective way to preserve fresh raspberries for eating all throughout the year, especially if you do not wish to freeze raspberries, or you do not have available space in your freezer to store them frozen. It is also possible to dehydrate (dry) raspberries to preserve them. Canning them alone, is one way to preserve these delectable fruits. It is also possible to can raspberries with other fruits and other ingredients. Here follows a basic recipe for Canning Raspberries. 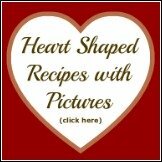 Scroll further down to see additional Raspberry Preserve Recipes. Can Raspberries and Enjoy them all winter long! Allow 1 1/2 to 3 pounds of raspberries for each quart. 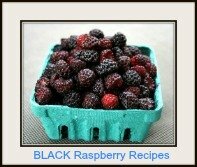 Sort and rinse the berries, removing any blemished raspberries and any fruit that is over-ripe or spoiled. 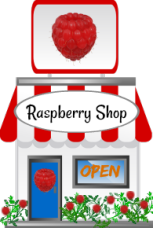 Only "cold pack" canning is recommended for raspberries as they are considered soft and tender fruits. Prepare desired syrup, allowing 1 to 1 1/2 cups for each quart. Select a syrup to suit the sweetness of the fruits to be canned - and the sweetness level you prefer. Measure the desired amount of sugar and water into a saucepan. Bring to a boil, then keep warm. For very light syrup, use 1 cup of sugar with 4 cups of water to yield 4 1/2 cups of syrup. For light syrup, use 2 cups of sugar with 4 cups of water to yield 5 cups of syrup. For medium syrup, use 3 cups of sugar with 4 cups of water to yield 5 1/2 cups of syrup. For heavy syrup, use 4 3/4 cups of sugar with 4 cups of water to yield 6 1/2 cups of syrup. *Although you may prefer the sweetness of very light syrup, keep in mind that fruits canned in light syrups are sometimes less firm than fruits canned in heavy syrups. Bring syrup to a boil and reduce heat. Spoon prepared berries into hot, clean jars, leaving 1/2 head space. Lightly shake the jars to pack the berries closely (do not crush). Add the boiling syrup to cover the berries, leaving 1/2 headspace. Wipe jar rims and add lids. Process in a boiling water bath for 15 minutes for pints and 20 minutes for quarts (start timing when water boils). It is important that you follow the directions for canning raspberries, or any other fruit, with attention to detail. It would be a great disappointment to put forth the effort and time to make preserves if the process is flawed, and you open your jars of fruit later, only to find that the contents have spoiled. If you are just beginning to can your own food, or some of your canning supplies need to be renewed or replaced, here (below) are links to canning supplies that you can order on-line from *Amazon.com, and, in most cases, have them delivered right to your door! ... Shopping doesn't get much easier than that! 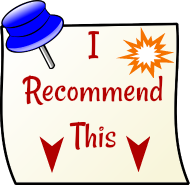 Click on the images for more detailed product information and to check the customer product reviews.